^ Shergill, Sanjeet (2017-05-06). 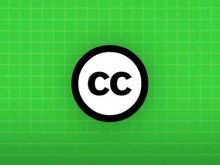 "The teacher's guide to Creative Commons licenses". Open Education Europa. Retrieved 2018-03-15. ^ "What are Creative Commons licenses?". Wageningen University & Research. Retrieved 2018-03-15. 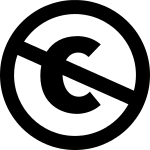 ^ "Creative Commons licenses". University of Michigan Library. Retrieved 2018-03-15. ^ "Creative Commons licenses" (PDF). University of Glasgow. Retrieved 2018-03-15. 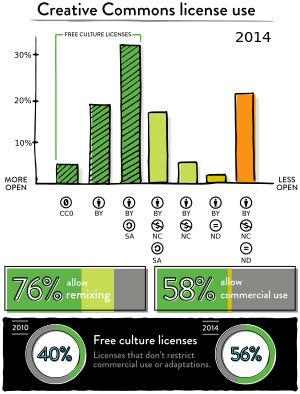 ^ "The Creative Commons licenses". UNESCO. Retrieved 2018-03-15. ^ a b Christopher Allan Webber. "CC withdrawl of CC0 from OSI process". In the Open Source Initiative Licence review mailing list. Archived from the original on 2015-09-06. Retrieved February 24, 2012.